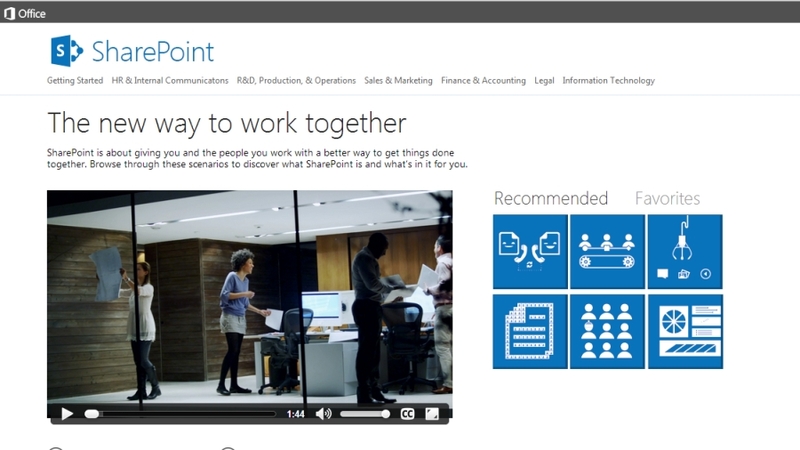 Microsoft has unveiled a new weapon in SharePoint's battle against cloud competitors, with a website designed to encourage businesses to make more use of its collaboration platform. Named DiscoverSharePoint.com, it was announced in a SharePoint team blogpost that says it's for end users to discover what they can get out of the service. It includes a set of how-to videos and guides on getting started, a use case catalogue, adoption kit and adoption best practices. The blogpost says there will more content and updates to come. SharePoint has been under pressure to hold its own in a market with an increasing number of cloud services that provide at least some of its functions. There have been criticisms that it is complicated to use and lacked the social features of services such as Huddle and NewsGator. In March, Microsoft announced that Yammer, the enterprise social network it bought last year would be integrated into SharePoint.